This week is my pathetic attempt to pay tribute to Pennant Roberts. Pennant Roberts passed away on June 22nd after battling cancer for over a year. He was only 69. Over the years, I have met many directors and producers who worked on programs for the BBC but unfortunately Pennant wasn’t one of them. It is unfortunate because when I watch any “Making Of” documentaries of any program he was a part of, it is clear that he was full of passion for his work. He explains very succinctly the reasons why certain things were done and in some cases why they failed. Through these glimpse of his thought process, I found myself watching someone who I would really liked to have met. He had been involved in a couple of my favourite programs which I’d like to share with you. Sometimes, I think I take this love of British television way too seriously. When someone passes away who was connected to one of the programs I love, I have to watch at least an episode of it. It’s my way of paying tribute to the people who worked on it. These programs are getting further and further out of the consciousness of viewing public. In the US, most people have never heard of the British shows I watch. 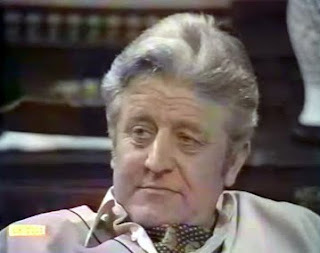 If someone asks me if I watched ABC’s Castle, I am tempted to reply, “No, instead I was watching an episode of the BBC television series Doomwatch originally broadcast in 1972.” I say this is a pathetic attempt to pay tribute to Pennant Roberts because I actually do not have much of his work in my collection but what I do have, I’ve generally enjoyed numerous times over the years. What I am writing about today is only a small portion of his over all work. Apart from what is written below, he directed episodes of The Onedin Line, Softly, Softly, Tenko, Juliet Bravo, and Howard’s Way. 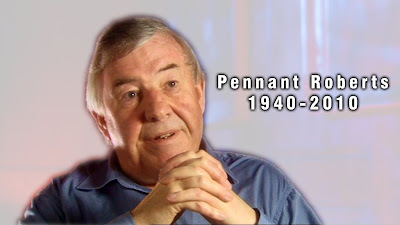 What I watched as tribute to him were episodes he directed of Doomwatch, Survivors, and Blake’s 7. Doomwatch is probably one of my all-time favourite television series. It started in 1970 as a program about a government scientific watchdog department keeping a look out for other scientists or agencies doing immoral or unethical processes or programs which could harm people or the Earth. 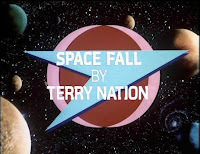 The series was devised by Dr, Kit Pedler and Gerry Davis and The first 2 series (1970 & 1971) featured a lot more scientific plotlines including space travel, a virus which melts plastic, killer rats, and other eerily science related stories. By the time we get to Series 3 (1972), the tone of the series changes into something which is based in less scientific stories but more everyday situations. Although Series 3 isn’t quite as dynamic in terms of fantastical storylines, it is still compelling viewing taking stories from the headlines. The dialogue is of a higher level where discussions between characters often involve the debate of morality. The head of the Doomwatch team is Dr. Spencer Quist who worked on the Manhattan Project during World War II. He has never truly come to terms with his involvement in that but with the help of Dr. Anne Tarrant, who Quist would eventually become romantically involved with, his character would tone down as the series goes on. Another key character was Dr. John Ridge. By this point in the series Dr. Ridge was in a mental hospital. He was placed in there from wanting to hold the government ransom with phials of Anthrax. This all took place in the now lost episode Fire and Brimstone, the first episode of Series 3. 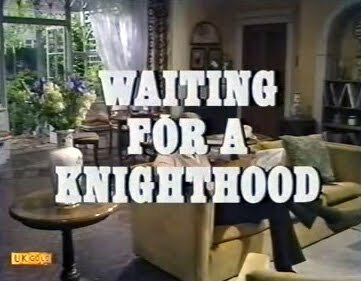 Waiting for a Knighthood starts off as a vicar is giving a sermon. He goes off on a strange tangent which eventually becomes stranger and stranger until he passes out. Dr. Tarrant is in the congregation to see this and afterwards alerts Dr. Quist. Quist and Tarrant find out that lead poisoning is the cause of this behavior. 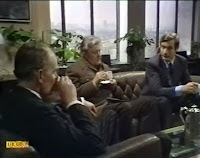 Although Quist wants Doomwatch to look into it, The Minister, Sir George, who oversees Doomwatch keeps him away as there are already people looking into lead poisoning. Quist suddenly wonders if there is a possibility, after seeing the strange behavior of the vicar that maybe something similar could have happened to Ridge. Ultimately, the episode revolves around lead. Whether it is lead in gasoline (which was still happening at the time) or lead paint flakes on toys, the question of how poisonous was a very real fear back then. It is obviously still a fear now but much has changed since then. Most countries, such as the US & UK, no longer use lead the way they did back then which reduces the harm that could come to people who come into contact with it. It is believed what lead Ridge trying to blackmail the government with Anthrax and also what happened to the vicar at the beginning of the episode was caused by lead poisioning. They both work with cars and different types of lead fumes caused them to become deranged. A woman, who lost her young son to lead poisoning, kidnaps a boy of the same age whose father works in the oil industry where lead is still a major ingredient. 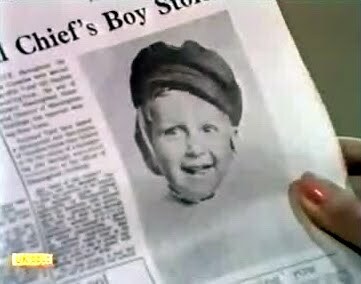 I did not get the complete connection for kidnapping their son apart from the lead. Eventually, Ridge gets released form the hospital where his sanity was in question from the events with the Anthrax. He actually finds the kidnapped child and the kidnapper hiding out in his flat. “We were putting a case that you should have some call for unleaded petrol, now this met with huge resistance from the oil companies that we were talking purely off the top of our heads and you could never have unleaded petrol because the two work together like hand in glove and of course they then got the backing of the government who in turn tried to warn us away from this issue.” He went on to say, “It’s quite good to look back and think, well maybe we did our little bit then in establishing unleaded petrol, not only in the UK but probably around the world.” By this point in the series, Doomwatch creators, Kit Pedler and Gerry Davis, had become dissatisfied by the direction the series was going and also by what they perceived was interference of Producer Terence Dudley. Though, through Terence Dudley, Pennant Roberts would have another chance to work on a significant cult series. I am not going to do a full review of this episode. I have recently reviewed it for the online fanzine TellyVision and the first episode will be available shortly. Survivors is about a virus that wipes out about 90% of the population of the world. The story, at least for the first series, follows Abby Grant, Jenny Richards, and Greg Preston as they try to create a life from what is left in the aftermath of most of civilization being destroyed. 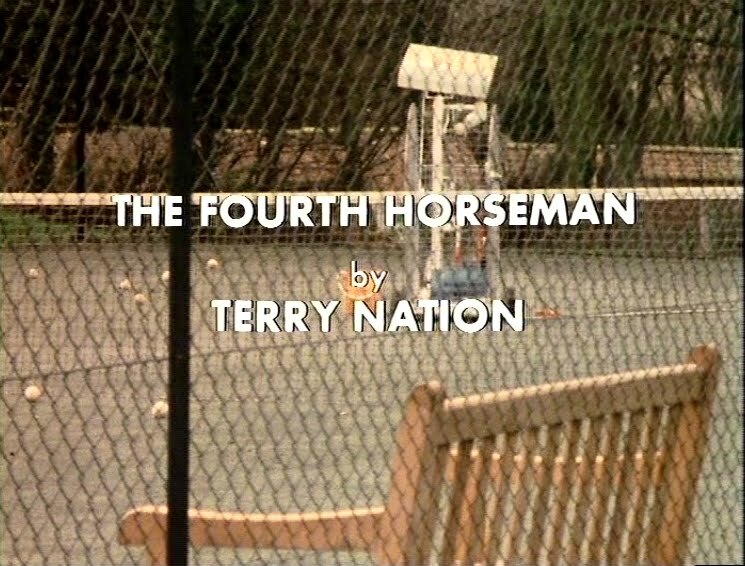 The Fourth Horseman is possibly the best first episode of any series. From the time the episode starts, life is still fairly normal teetering on collapse. By the time we get to the end, there is hardly anyone left. Throughout the first part of the episode before the epidemic hits, there is an unspoken terror. As viewers, we hear almost immediately that there is a flu epidemic and people are getting sick. We know it’s not really the flu but the characters don’t know that. The tension builds as simple everyday things start to fail: the phone, the trains, the hospital and finally the infrastructure. I think of the three episodes I viewed, this is the best direction of all and stellar direction played a massive part in it. Pennant did a superb job of only showing us what he wanted us to see and revealing the rest a little bit at a time. Abby Grant gets the virus and looks like she may die but miraculously survives after days of sleeping. When she wakes up, she goes through her house, walks through her living room and when she looks in the mirror on the wall, it is only then she (and us) discovers her husband dead on the sofa. There are so many ways that scene could have been made and to me this was the best. It is simple; there is no reason to suspect anything other than her going through her house. The episode has all sorts of scenes that play out like this. Survivors was created by Terry Nation. It is interesting as Kit Pedler and Gerry Davis created the Cybermen and Terry Nation created the Daleks. Those writers go on to write two prominent television series and Pennant is part of it. Survivors was produced by Terence Dudley who also produced Doomwatch. 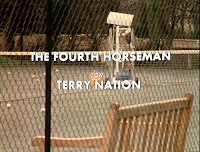 As good as the first episode is in direction, Terry Nation’s script for The Fourth Horseman is superb and it is the first episode of many amazing episodes offered in this series. If you have never seen this series, it is a heavy and emotional drama. It is worth the roller coaster ride! 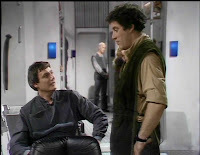 The final program I watched was the second episode of Blake’s 7 titled Space Fall. I have never been able to get into this series. I watch programs like The Cult of Blake’s 7 which show some pretty exciting clips but every time I try to get into the series, I am always a little disappointed. This episode picks up from the first episode The Way Back. Blake is on a penal ship heading to Cygnus Alpha where he is to spend the rest of his life as a prisoner. He had made some friends who are with him on the ship but to be able to escape he needs the help of another prisoner named Avon. Avon is needed because he is a computer genius. It will be Avon who gives control of the ship to Blake and the other prisoners. But as soon as Blake takes control, the ship’s crew takes it back with little regard for the prisoner’s lives. Miraculously, a mysterious ship appears out of nowhere. Two sets of crew members go over but none return. Blake, Avon, and Jenna go over, take control of the ship and escape. Of course the ship turns out to be The Liberator and soon it is on course to Cygnus Alpha to free the rest of the prisoners. This should be the program I have the most admiration for since it was done on an even smaller budget than Doctor Who. The problem is that nothing really happens. I understand that this is the beginning of the series which is trying to get started. I know I need to sit down and really pay attention to it at some point. Pennant Robert’s direction in it doesn’t seem quite as impressive as it did in the Survivors episode. I think a couple of things are factored into this. I think the story dictates the episode to be pretty linear. The story telling is straightforward where as it was much more visually stimulating for the Survivors episode. Blake was coordinating a revolt on the spaceship while in Survivors, civilization was ending on many different levels. We had to see the breakdown of society which leant itself to more variety shots and camera movements. Doomwatch was also pretty straightforward which actually worked in Pennant’s favour. 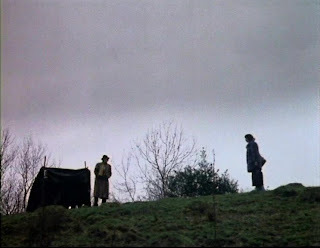 Sometimes new directors go crazy with odd shots and gimmicks which don’t lend itself to proper story telling and could be construed as counter-productive to the narrative. Pennant let the story lead the visuals in Doomwatch and it was successful. Of course one series I did not look at from Pennant’s career is Doctor Who. This is something I will do soon with a viewing of the Season 14 story The Face of Evil. When I do, I will post my thoughts on here. As for the episodes above, it would be extremely foolish of me to say they are all part of the same genre. They are similar in many ways but also very unique and compelling viewing. Pennant easily shows that he is diverse in the style he employs in each of the episodes. 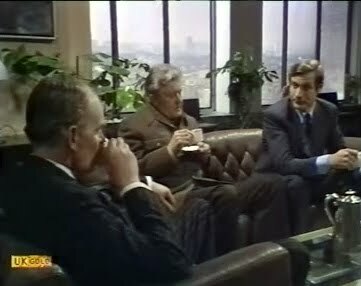 Doomwatch tells a good story with very confident direction. Survivors is exceptional direction married to exceptional storytelling to truly make it special. 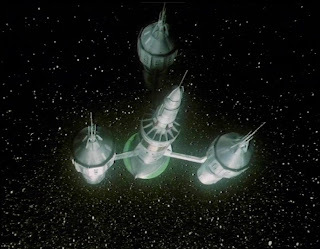 Blake’s 7 worked within the confines of a heavy effects drama in a time when Star Wars came out and was wowing everyone. Pennant was a very good director who clearly gave a lot of thought to what he did. Although his work will live on for others to enjoy, he will be very much missed. I just wanted to thank Scott at Doomwatch.org for his help with the Doomwatch pics, transcript for The Cult of Doomwatch and just being a great guy. If you are a fan of Doomwatch or never seen it but want to know more, his site is extremely well made and is full of a lot of awesome, detailed information pertaining to this wonderful series. Please follow this link and check it out. Be prepared to want to spend a lot of time there to soak up the vast amounts of information Scott and his contributors have provided. Next Week: It’s a Mulberry Day! Literally! I have a mini-marathon where I will watch all 13 episodes of this gem of a BBC comedy series.